Adobe Flash falsely claimed as "outdated"
I'm using Opera 29.0.1795.60 on an older MacBook running OS X 10.75. Almost from one day to the other suddenly Adobes Flash plugin stopped working. Opera tells me, that Flash is outdated and that I should update it, despite that I'm already running the most recent version. I'm already tried running the flash update again, without any results. And btw. other Browsers like Safari and Firefox still work fine. You have adobe flash NPAPI installed which is not the latest version of flash. You have to upgrade it to PPAPI. We received a couple of complain from users with NPAPI plugin and we decided to inform users to upgrade to the latest version. The recommended installer for PPAPI doesn't work on my system (it always crashes), so I hope the debugger plugin doesn't have any downsides for normal users. That's too bad. 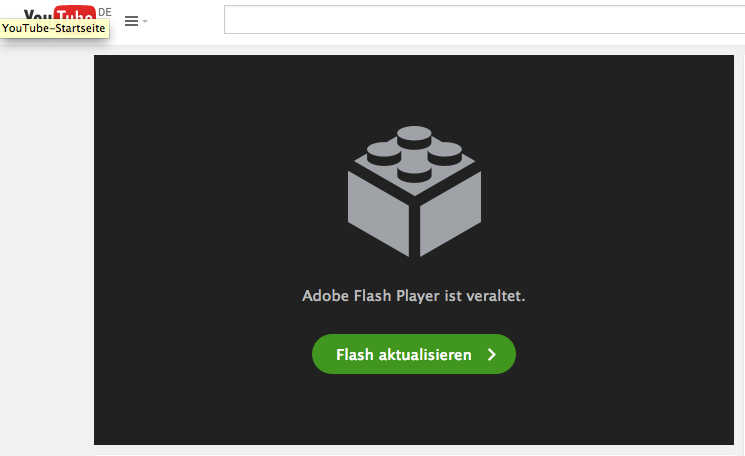 Because when testing a couple of things to get Flash running again, indeed I already tried to install the PPAPI plugin via the preferences pane of the Flash plugin (which just redirects to https://get3.adobe.com/de/flashplayer/update/ppapiosx/). But Adobe's PPAPI installer always crashes on my system. For whatever reason the "click to play"-setting doesn't work anymore. Which is really bad on an underpowered system. Is this behavior normal with PPAPI? Or is this something that might be caused by using the debugging version of the plugin (again, the installer for the regular plugin crashes on my setup)? I didnt have any problems when installing PPAPI flash on my system with OS X 10.7. Maybe try to uninstalling Flash and try from scratch. I didn't use the debug version but click to play works fine for me with PPAPI plugin. I narrowed down the problem by myself by now. 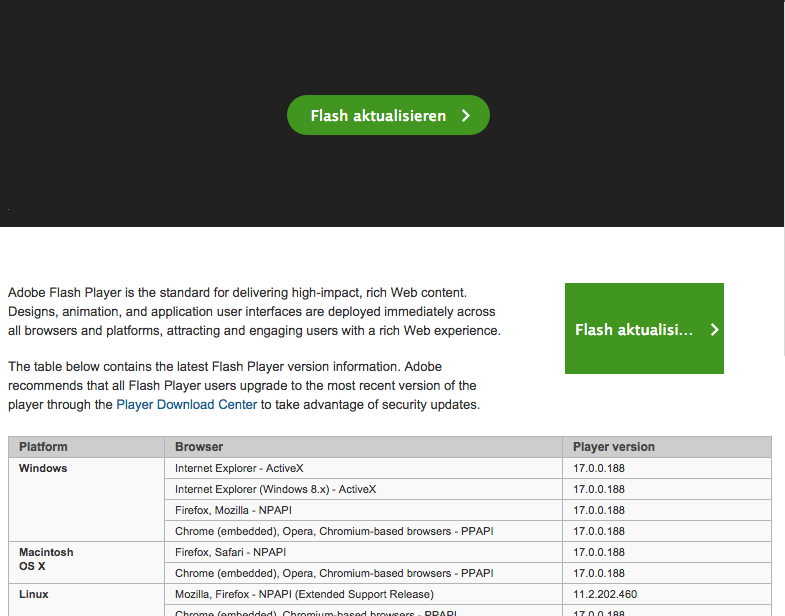 Somehow it was some kind of weird interaction of an extension with the updated flash plugin. Weird because click to play seemed to work with all sites but one (and especially one with lots of embedded flash videos) after the flash update. The extension that seemed to cause it was "Site-specific Preferences". From one day to the other (exactly the day that NPAPI plugin stopped working) the Operas click to play setting for all pages was overridden by the site specific extension settings from "Ask" to "Allow". Setting back the status within the extension to "Ask" for this specific site solved the problem.